Remember when it was reported that Merced Co AC was sending nearly 400 orphaned bottle babies a year to Last Hope Cat Kingdom, a facility allowed by county permit to have just 125 animals? And how Last Hope knew they were literally the last hope for these kittens because if they didn’t accept them, AC would kill the kittens? And that AC continued to send kittens to the sanctuary up to and including the day they raided the place and decided gee, there’s too many cats here? Good times. It’s the county shelter’s job to shelter animals. The county should be partnering with the community to accomplish this task. Instead Merced Co was relying on a violent threat to an overburdened sanctuary: Take these kittens or we’ll kill them. They repeated this threat over and over to the tune of roughly 2000 kittens in 4 years. This is not only a fundamental failure of the Merced Co shelter to fulfill its mission to shelter animals but also blatant exploitation of compassionate sanctuary volunteers who felt compelled to keep saying yes to kittens in order to save them from the kill room, even when they lacked the resources to provide for them. When the county raided Last Hope in June 2013, it destroyed evidence of the county’s negligence by killing 200 cats on site. County leaders should have demanded an independent investigation of the shelter staff’s failure to do their jobs and the subsequent destruction of evidence to hide the wrongdoing. Instead, they gloated on Facebook about the raid and threatened the victim in the case, the cat sanctuary, with charges. 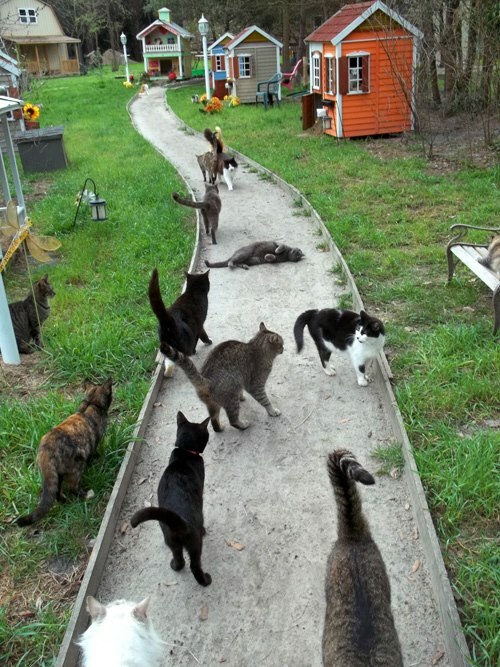 The facility can house a maximum of 40 cats. No dogs are allowed. Volunteers must undergo a training program. Weekly reports must be provided to the county. For each 6 month period that Last Hope complies with the regulations, the facility will be allowed to house 10 additional cats, until they reach 80. “Any prosecutor would be hard pressed to prove beyond a reasonable doubt to 12 jurors that Ms. Schmitz is a criminal deserving of conviction and incarceration,” Slocum said. Yeah but I bet you could convince 12 jurors that Merced Co AC is guilty of defrauding taxpayers by failing to do its job, foisting its failures on to a sanctuary it knew was incapable of bearing this burden and then destroying the evidence in a mass killing. Anyone looking into that? Many pound directors know that the threat to kill animals forces some rescuers to say yes to more animals than they have the resources with which to provide a reasonable quality of life. Instead of expanding their network of potential partners in the community and promoting their special needs animals using all available platforms, they simply find a small number of groups they know will reliably take what they perceive as their “problem” off their hands. Then when the “problem” resurfaces in the form of an overwhelmed sanctuary, they jump on the condemnation bandwagon and point fingers at the publicly shamed bad guys. People who kill animals often like to say they didn’t create the problem, they are simply dealing with it. I reject the notion that killing healthy/treatable animals is in any way an acceptable manner of dealing with homeless dogs and cats. I further reject the idea that shelter directors who kill animals don’t create animal problems in the community. They do. They create them every time they send animals to an already overburdened rescuer whom they know won’t be able to turn away because they’ve threatened to kill the pets. The fact that they create this impossible situation for rescuers, receive accolades for their increased live release rate until the pot boils over, then raid the facility, kill the animals and publicly condemn the compassionate people they used and betrayed is reflective of a system that is broken. We need shelter reform in this country. We need animal advocates to stop enabling the killing by publicly condemning it and demanding shelter directors do their jobs. More guts, less fake glory. I want to start by addressing a few issues that I think have been widely misunderstood regarding Olympic Animal Sanctuary in Forks, WA. For one, many people have expressed concern that some of the dogs at OAS did not have sufficient access to water. A dog denied access to water will generally die after several days, depending on various conditions, so obviously the dogs at OAS had access to water. Furthermore, since most owners do not feed a raw diet, they are likely unaware that raw fed dogs drink significantly less water than kibble fed dogs. Just because an owner is accustomed to seeing his kibble fed dog lap up bowl after bowl of water every day, it doesn’t mean the raw fed dogs at OAS needed that same amount of water. The handwritten notes appear to indicate OAS dogs were being fed 3 large raw meals a week, presumably followed by a day of fasting, and being supplemented with Merrick canned food, cases of which were photographed and included with the report. Thin dogs were apparently being fed daily. This seems to be a sound feeding plan and not indicative of animal abuse. The dogs inside the building, housed mostly in back-to-back kennels in the main center of the room, greeted us with a cacophony of barks. Some snarled, a few cowered, and some perked up and jockeyed for friendly attention. The room was bright and not as smelly as I had expected considering Olympic Animal Sanctuary is home to 128 dogs. Each kennel had fresh water, a bowl of kibble, and straw-lined flooring. Most of the dogs were paired in the kennels, but some were alone. The single-dog kennels were 5-by-5 feet, and the doubles were twice that size. Many of the dogs were chewing on turkey neck treats. On the periphery there were dogs in crates, some stacked two high. Some of these areas were unlit, squalid, and through my human eyes disturbing. Many of the dogs from these crates were the most vicious barkers, and they made it clear they did not want human attention. Markwell explained that many of the crated dogs have severe problems, such as intense resource guarding, severe fear of and/or aggression toward other dogs, or paralyzing fear of open exposure. His ultimate goal is to work with them until they are able to be moved into kennels. We asked Markwell how often the dogs get outdoor time in the other yards. He said for the ones who want to go outside he gives them shifts (optimally once a day) as often as he can manage, which is less lately because of his lack of staff help due to money troubles. Other dogs, he explained, cower and run for cover if placed outside. These are the dogs so traumatized they feel frightened and vulnerable in exposed situations—the ones in the crates. “This is something that many people have difficulty understanding. Many damaged dogs come in agoraphobic. They want to hide. People see crated dogs and they think it’s cruel, but it is what these dogs choose,” said Markwell. Allowing in members of the public on short notice to look around and take photographs is not behavior indicative of a hoarder. 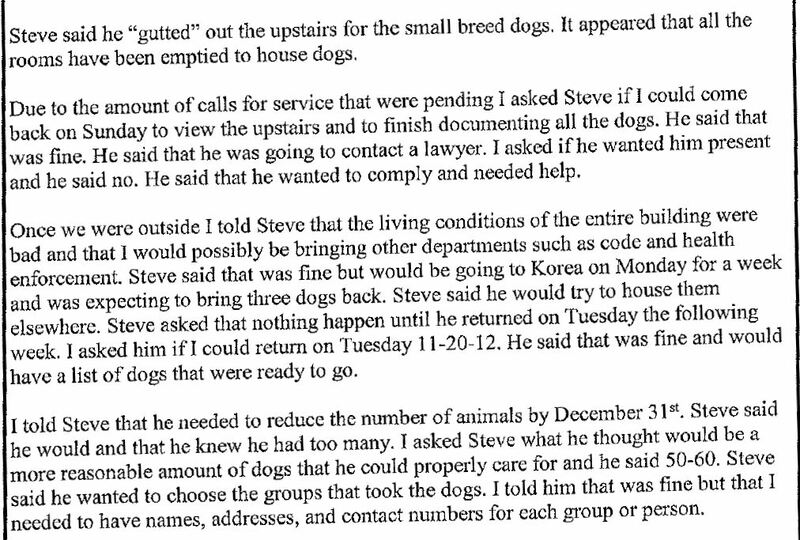 Repeatedly expressing a desire for help and admitting that the sanctuary had too many animals (as seen in the typed police report snippet above as well as the one below) is also not indicative of hoarding. Further evidence that dogs were not being hoarded at OAS is the fact that the number of dogs was reduced. This is the opposite of hoarding. This is a sound solution to a desperate situation. But the numbers weren’t reduced quickly enough to satisfy what grew into an angry mob. Steve was publicly labeled an animal abuser and the campaign to shut him down was like nothing I’ve ever witnessed in animal welfare. Having read through the 450 pages of publicly available documents in the OAS case, it strikes me that Steve perhaps fell into the same situation that many rescuers do – stretching resources beyond their breaking point while trying to save lives. Although it isn’t a topic widely discussed, there are some dogs and cats who are “rescued” by rescue groups and put into long term boarding situations which basically amount to life in a cage. I call this the Black Hole of Rescue. We don’t tend to hear about these situations until an official investigation is opened by legal authorities or some similar circumstance. But it goes on all across the country and is more common than we’d like to think. The dogs who fall into this Black Hole of Rescue have no meaningful social interaction with people or other dogs and receive little or no exercise. Rescuers attempt to justify the quality of life of these dogs by telling themselves it’s temporary and it’s better than death. The fact is, if shelter directors would start doing their jobs and stop killing animals, rescuers would not feel this overwhelming pressure to say yes to “just one more” animal when they have no resources and are unable to provide a reasonable quality of life. 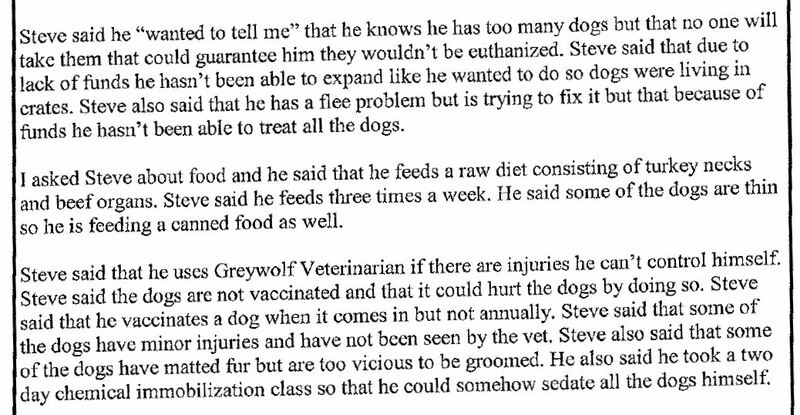 While I make absolutely no claim to speak for Steve Markwell, it seems apparent to me via public documents that he may have justified dogs living in crates by telling himself it was temporary and it was better than death. Throughout the public documents, he continually references his hopes and plans for expansion of the sanctuary. He also states he knows he has more dogs than he can care for, that he wants to reduce the number and that he needs additional help. He reiterates his primary concern that the dogs’ right to live not be compromised by anyone who takes them. This does not indicate hoarding or animal abuse to me but rather someone who stretched himself too thin and is at a loss to correct the situation as quickly and efficiently as circumstance warrant. Should Steve have stopped saying yes to “just one more” dog long before he had dogs living in crates? Of course – as should all rescuers. The fact that he didn’t stop saying yes is not indicative of a desire to hurt animals but rather places him in the exact same category as many rescuers operating today. Some of those rescuers who have become overwhelmed with animals and recognize they need help are perhaps less likely to come forward and seek it in light of the lynch mob that pursued Steve Markwell, sending him, his mother and his friends violent threats. It is a tragedy of epic proportions that we kill shelter animals for convenience in this country. One of the human costs of this tragedy is the horrifying burden borne by rescuers who feel powerless to turn away from sentient beings in need when doing so will result in their death at the hands of those who should be protecting them. This is one of the reasons I devote the bulk of this blog to shelter reform – it’s needed for pets and for people. I care about both. 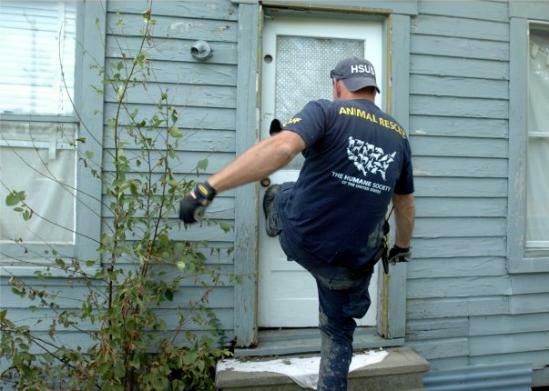 In addition to shelter reform, rescuers need to develop additional resources for handling dogs with aggression issues. 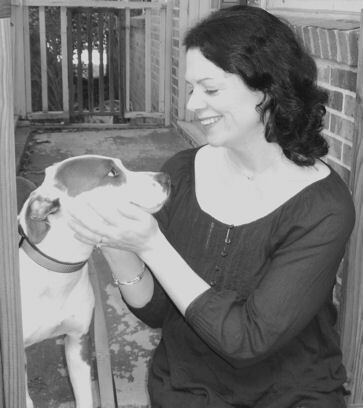 When rescues make a business of pulling dogs with unknown behavior histories from shelters, they are bound to get some with aggression issues. Too many groups are unprepared for dealing with these issues and there are precious few sanctuaries for these dogs. And now, there is one less. In summary, BFAS was requiring that Mr. Markwell allow in anyone who calls themselves “qualified”, even if they were there because a pet psychic told them a dog at OAS said he wants to die. There appeared to be no standards for determining which groups were “qualified” to help in this unique situation and no one designated to make that determination. BFAS was apparently requiring Mr. Markwell to unconditionally accept whatever these “qualified” organizations were willing to offer, even if it included killing the dogs. There did not appear to be any protections in place for the dogs in the BFAS response as far as protecting the dogs’ right to live. I wrote to Best Friends seeking clarification on these issues but my letter was ignored. BFAS quickly determined they would not be offering any help to the dogs at OAS. Like the vast majority of people who have been following this story, I have never been to OAS or met Steve in person. But I did work closely with him by phone for several days in 2011 when he helped us save a dog who had been abused at the Memphis pound. Steve’s compassion impressed me and his commitment touched me deeply. There are few people in life with whom I feel a personal connection and despite our relatively short amount of time spent together – long distance, Steve is one of those people. When the powers that be in Memphis were turning cartwheels, making every effort to frustrate us in our endeavor to save Mario, Steve talked us through the situation. MAS had us sign the paperwork to adopt Mario then dropped the bomb that we would have to get the feral dog out of the cage ourselves and none of the trained shelter staff would help. If we failed, they would kill him. Steve called and spoke with the MAS vet in order to plead for assistance in sedating Mario so he could be safely removed from the cage by rescuers. She outright refused but Steve never gave up hope. He spent all day on the phone, continually offering suggestions and working to prevent MAS from killing Mario. At one particularly low point when it seemed like all our options were exhausted, Steve said, “Well we’ve done the paperwork and that has to count for something. I want my dog.” It was a profound moment for me. This man, who surely had other things to do than to spend all day trying to throw a cog into the Memphis killing machine for a feral dog he’d never met, was committed to saving this dog’s life. Eventually, with help from so many wonderful people, Mario was saved. I will stand by Steve, anytime he is willing to have my support. As for the dogs who have now been relinquished by Steve, it is my sincere hope that their right to live will be respected by anyone who takes them. There are relatively few people with sufficient resources and expertise to handle aggressive dogs, which is how so many ended up at OAS, and I hope none of the dogs are killed. The dogs have been pawns in this witch hunt game when they should have been the primary consideration. Now the chips will fall and I hope an improved quality of life is provided to every single animal, in line with Steve’s vision for OAS. I will close with three Olympic Animal Sanctuary videos that show Steve doing what he excels at – helping aggressive dogs. As is evident in these videos, Steve’s skills are genuine and unique. It pains me to think that these skills might be lost to the animal welfare community now. And it pains me even more to know how that was orchestrated by hateful people who sought to tear someone down when he asked for help. The rescue world is less today than it was yesterday. I am sometimes ashamed to be human and this is one of those times. But I am resolved to learn from this situation and to offer assistance whenever possible to good people who have become overwhelmed with too many rescue animals. If you are in this situation, you will find a friend in me. Let me know how I can help you. What Happened to the Dogs at Safe Haven in Delaware? A troubling situation developed in Delaware yesterday and more information is needed. I am asking for help from readers if they come across any additional media reports or press releases from relevant parties regarding this story today. 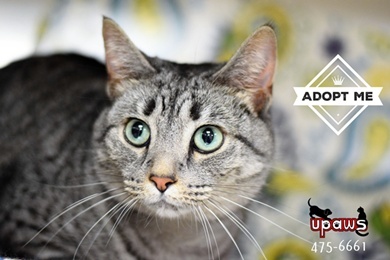 Delaware has a law called the Companion Animal Protection Act (CAPA) which requires shelters to give at least 2 business days’ notice to rescuers before killing any healthy/treatable animal. The Safe Haven Animal Sanctuary in Delaware was set to close on November 30. I do not know the reason why. They previously held an animal control contract but recently lost it. Safe Haven reportedly asked the ASPCA last month to help shut down the shelter in an orderly manner and ASPCA agreed. Suddenly yesterday, the closing of Safe Haven got moved up – to yesterday. I do not know the reason why. The Safe Haven Facebook page has since been deleted. It’s not clear how many dogs remained at Safe Haven until this week, because the shelter did not post intake statistics on its website for the third quarter of 2013, which the state’s Companion Animal Protection Act mandates shelters do. The law also requires shelters to maintain “a registry of organizations willing to accept animals for the purpose of adoption,” and are not supposed to euthanize any animal if organizations on the registry are willing to accept it. [Former Safe Haven volunteer Karli] Swope said rescue groups she is familiar with had not received notices from Safe Haven indicating it was considering euthanizing any of its dogs. However these people were turned away by the ASPCA, who eventually called the Delaware State Police and reported the prospective adopters were trespassing on private property. Speculations surrounding whether the ASPCA was euthanizing the remaining dogs onsite were discounted by Capt. Sean Moriarty of DSP Troop 4 in Georgetown. Moriarty said he saw the dogs inside a large ASPCA truck, and they were all alive. “I’m not sure exactly where they’re going; mostly out of state. Some are going to a facility in the state, but we don’t know where,” Moriarty said on Thursday at Safe Haven. There were an unknown number of dogs, possibly 20, at Safe Haven at the time ASPCA locked the doors and called police to keep rescuers out. I haven’t seen any reports indicating what ASPCA did with the dogs. I am not an attorney but it appears to me that possibly both Safe Haven and the ASPCA may have violated Delaware’s CAPA law in the handling of dogs at the facility. I hope some clarifications and additional facts come to light today and that the remaining dogs are safe. I further hope the appropriate authorities will investigate to determine if Safe Haven and/or the ASPCA should be charged with violations of Delaware’s CAPA law. Blackwell said no disciplinary action was taken against Caseri because the post was on a private Facebook page and did not divulge information about the case. No charges have been brought against Renate Schmitz or anyone at Last Hope Cat Kingdom. A public hearing regarding the sanctuary’s permit will be held in approximately 2 months. And at the Merced police department, where they were taking injured pets to the shooting range to be shot to death by police officers, the supposed new policy for handling injured pets is a giant question mark. Since then, the department and city have not released any information regarding the new policy, details about how it will work or what steps they are taking in the process. Calls placed to Police Chief Norm Andrade, Merced City Manager John Bramble and Lt. Bimley West were not returned Friday. I take it he means they don’t want to put a bleeding injured dog in their car in order to drive the animal to a vet. Because we know they’ve been putting bleeding injured dogs in their cars for the last 25 years when it meant they got to blast them with a shotgun at the firing range. Oh but nobody WANTS to kill animals so what am I saying? Many readers here have been following developments involving anonymous accusations against Olympic Animal Sanctuary (OAS) in Forks, WA. I’ve made my position clear. Accordingly, I contacted Steve Markwell directly when anonymous accusers recently resurfaced in the blog comments to dredge up old news as if it’s new again. I am reprinting his response here in its entirety. First and most importantly, the citation was never issued — I was not charged with anything, never knew there even was a citation until I got the records myself, and still don’t even know what dog they were talking about. They said I had a malnourished dog, but as you know an animal can be thin for reasons other than malnutrition — a vet would have to determine the reason the animal was underweight, and of course no vet was ever consulted. As I said, I still don’t know what dog it is. 1. A report was made to the city by Scotlund Haisley from Animal Rescue Corps. If you are not familiar with Haisley I strongly suggest googling him. It helps to add the word “lawsuit” to your search. Haisley’s report was based on the photos and accusations made by Pati Winn, the admin of the anti-OAS Facebook page. It was delivered to the city two years after Pati left. The statutes of limitations on misdemeanors are one and two years, by the way. So one might be inclined to think that someone who took photos of dirty kennels instead of cleaning them was waiting it out. 2. The police officer who investigated the complaint did so only after I and two other concerned citizens went to the city to discuss problems with the city animal shelter, of which she had been put in charge. Her name is Julie Goode, and she is another one to google. She was responsible for an illegal raid on a family farm at her last job in Kitsap County that resulted in half the shelter administration resigning and almost got the shelter shut down altogether. Now she works here. 3. Julie came to OAS and made a number of false accusations with regard to my dangerous dog licenses. She then told me about the ARC complaint, but not who had made it. (I already knew because they tried to go to the county authorities first and they asked me if I knew Haisley and ARC.) She went on to say that if I didn’t submit to a search, she would come back with a warrant, and then if she found any violations she would charge my two workers. I allowed her in only to protect my workers. 5. I got Julie in trouble, before she wrote up her report, and that is reflected very clearly in what she wrote up. She was sure to address my specific complaints by making statements that I willingly let her in without being coerced, making no mention of threatening my workers, etc. But she went further and twisted the truth or simply made things up. She claimed that I told her I don’t provide vet care, that I told her I can’t handle my own animals, that I told her I wanted to dose the entire place with Ketamine. All lies, and Julie, while unable to file charges, was allowed by her supervisor to create this false report and write a citation up and put it in my file. Imagine if the DMV was allowed to put unissued speeding tickets in your driving record, that any employer who pulled your record would see. That’s what was done here. We have emails between Julie and her supervisor where they discuss trying to get another officer to issue the citation, but that never happened, I assume because no officer would agree to issue it. We also have emails where both she and her supervisor state that this case is personal because I hired a lawyer — this is a clear sixth amendment violation. 6. Currently Julie is still off the case and it is my understanding that she is not allowed to even speak to me. My dealings have been directly with her supervisor and the city attorney. Both have stated to the media that I am breaking no laws, in spite of what Julie’s report says. The city attorney has admitted to my attorney that Julie’s report was based on Scotlund Haisley’s complaint, not on her own search. Frankly I don’t know how she still has her job. People are claiming that the city is protecting me and that I have all these political connections. The truth is that the city has been harassing me since November and in that time I have distanced myself from everyone I know in government so there wouldn’t be any appearance of impropriety. The reason they are giving me a hard time is not that they think I am breaking the law or that they want me out of here — they have been very clear about that. The reason they are giving me a hard time is that the city attorney says he doesn’t like all the phone calls he is getting and wants them to stop, and he believes the only was he can make them stop is by proving that he is ‘doing something’ about OAS. He is probably right — these people won’t stop until all the dogs are dead. Their goal now seems to be to cut off my support so the animals will starve, but I’m the bad guy. The big question is this — how is it that Elizabeth Schlitz, the same person who created the fraudulent petition to shut down OAS, got these records when I still have not received a copy of the ARC complaint that I requested in November? We still do not have this complaint, the document that started it all, so we still don’t know if it contains blatantly false statements, and this is important, because if it does, as we suspect it does, Haisley and Winn made a false report to the police. It looks to me like they are the ones being protected, not me. A few other things to note: Pati Winn uses the aliases Petey/Peter First and Sarah Elliott. Colleen Lynn is also part of this group — I don’t remember what alias she is using. You probably know who she is, but if not, google. Others, like Jason Victory, real name Airick Heater, are members of ALF, and some are just sad, lonely people who do nothing but have flame wars on Facebook all day long. In total we are looking at about ten people — ten people are going to get all these dogs killed if we can’t get some support. I can give you more names and info later if you are interested but right now I need to get to work. Discussion: What was the case against Caboodle Ranch all about? A photo taken 10 days before the February 2012 raid, posted on the Caboodle Ranch Facebook page. More than a year after PETA and the ASPCA teamed up to shut down Caboodle Ranch, Craig Grant’s FL cat sanctuary, a legal resolution appears to be near. Under the deal with the state, the criminal charges against Grant will be dropped if he agrees to take his medication, pay costs to the state attorney’s office and is not arrested within the next 24 months. Grant’s attorney says the agreement won’t prohibit Grant from owning cats. “He’s allowed to have animals. He’s allowed to have up to whatever many cats the local County ordinances allow,” said [Mr. Grant’s attorney, David] Collins. Some context here: ASPCA seized 700 cats and 2 dogs, including Mr. Grant’s personal pets, from Caboodle Ranch and disposed of them as they saw fit. Many were adopted during 3 mass adoption events. I don’t know what happened to the rest of the animals and I suspect the ASPCA will never provide those details. 267: $4920.42 for utensils, etc. I picked out the above entries at random but there are many, many more entries for consultant fees. ASPCA apparently needed a lot of consultants during the months following the seizure. I thought ASPCA folks were supposed to be the experts? I mean, with the amount of money spent on consultants, couldn’t they have gotten someone off the unemployment line with no animal experience and just put that person in charge instead? At least then I could understand the need to fly in expert after expert, week after week, month after month, for their advice. At any rate, the court did not award ASPCA their million bucks. In fact, the judge’s ruling seems to indicate (to my layman’s understanding) that the ASPCA had not been officially appointed an agent of the state prior to the seizure and therefore had no standing to file for expenses incurred. My question would then be, if the ASPCA had no official designation from the state to act in this case, on what legal basis did they dispose of the seized animals? Mr. Grant clearly seems to have an interest in relocating and starting a new cat sanctuary. Regardless of whether you believe Caboodle was a great place for cats, the nightmare of neglect and suffering described by the ASPCA and PETA, or fell somewhere in between, one must ask at this point – what was all this for? The raid, the mass seizure, the mass adoption events which could have theoretically been used to find homes for cats already in shelters, the court cases – what was it all for? Leave your thoughts in the comments. 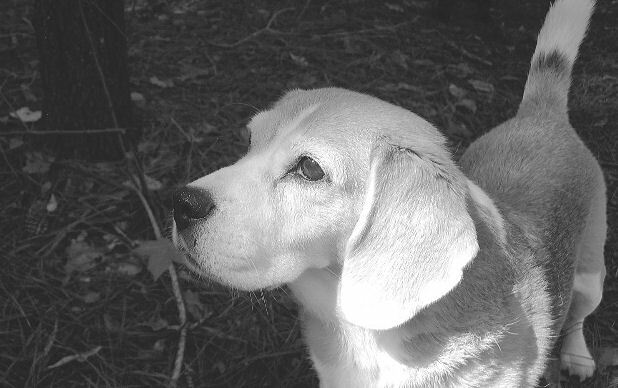 Scotlund Haisley, who was with HSUS at the time of this 2008 photo. Haisley refused to make available the group’s 79-page “cruelty report” upon which the allegations were based. The allegations were submitted to the local police department last fall and a 6 week investigation was conducted. The police found no evidence of cruelty. Another recent article features photos and observations from a reporter who visited OAS on short notice. The piece comes across to me like an honest take on the situation. There is no glossing over the less than ideal conditions at the sanctuary but no claims of abuse or neglect. As far as I know, the anonymous FB page has failed to offer any new information which would provide context needed for understanding the photos posted on the page.